Orlando, FL- Orlando’s corporate and fitness community raised over $70,000 from the IOA Corporate 5k held Thursday, April 18. at Lake Eola. 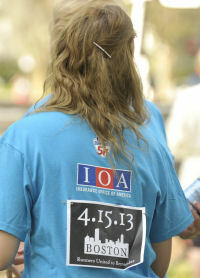 The IOA Corporate 5k is Orlando’s largest 5k run/walk. 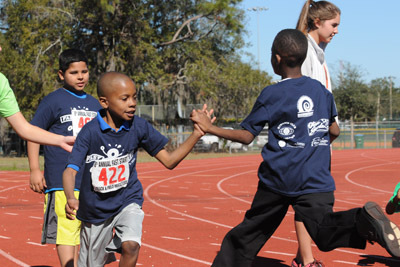 This year, $40,000 will be donated to the Track Shack Foundation, a 501© organization whose mission is to promote youth health and fitness through funding of youth athletic programs. Another $25,000 will be donated to The One Fund Boston, Inc. a fund established to help people most affected by the tragic events that occurred in Boston on April 15, 2013. 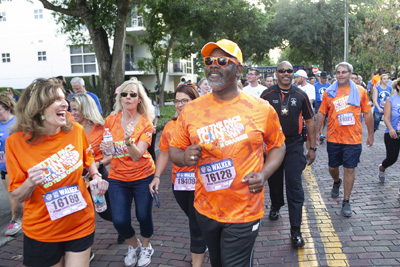 Additional contributions totaling nearly $10,000 have been donated to the Orlando Runners Club Scholarship Fund, Tangelo Park Community and non-profit volunteer groups. 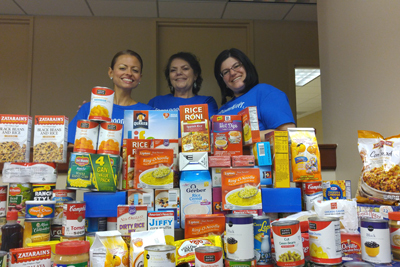 Over 8,800 food and supply items were donated by IOA Corporate 5k participants to the Christian Service Center. Sister companies Jackson Therapy Partners and Jackson Nurse Professionals collected 6,678 food items for the Christian Service Center. “The turnout of runners and walkers this year and record proceeds are a sign of our healthy, improving and giving community, “says Jon Hughes, Race Director, co-owner of Track Shack, and 2013 Boston Marathon participant.